In the same way, we can use fmm: logit for a binary outcome or fmm: streg for a survival-time outcome. 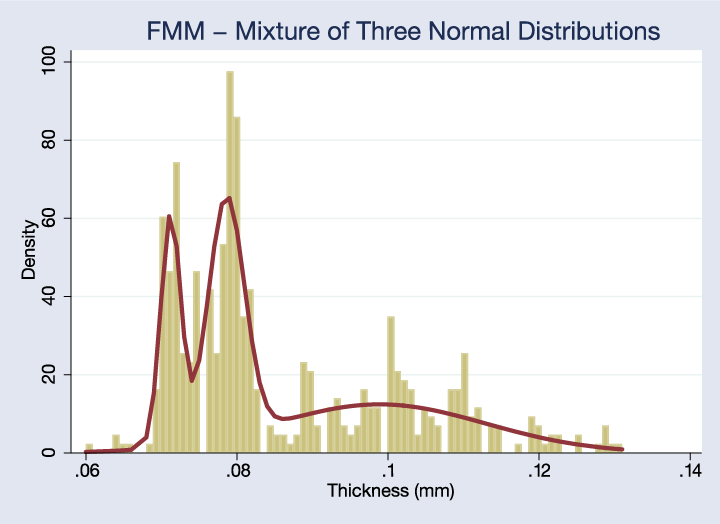 fmm: can even be used with multiple estimation commands simultaneously when the classes might follow different models. fmm: (regress y x1 x2) (poisson y x1 x2 x3) fits a linear regression in one class and a Poisson regression in another.